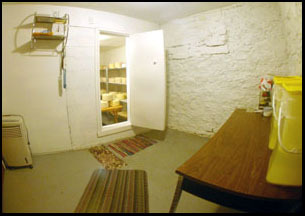 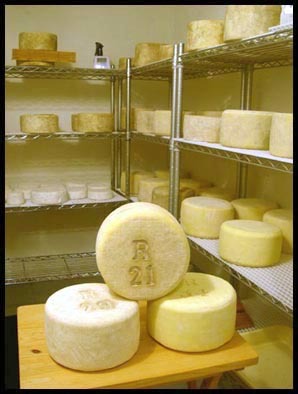 A basement cistern dating from about 1920 has been converted into an ageing room for our semi-hard cheeses. 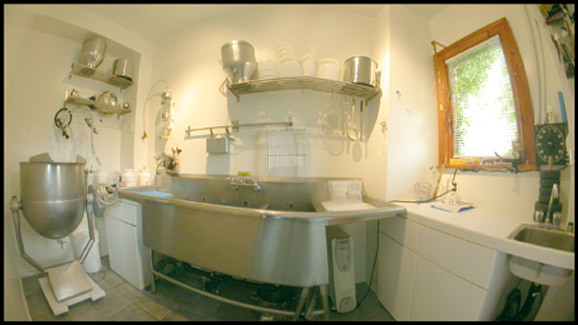 The temperature varies between 9 and 12 degrees Celcius and relative humidity of about 90%. 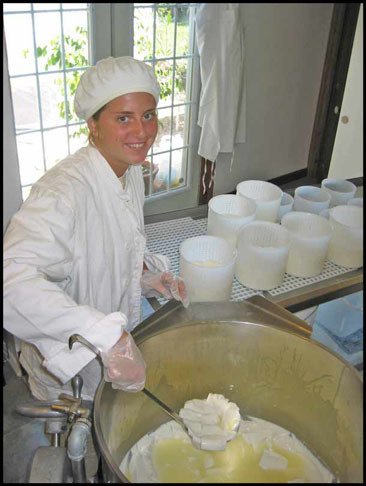 Anna, our student intern from the summer of 2007, scooping curd into forms to make Neige de Babette, a soft bloomy rind cheese similar to Coulomier. 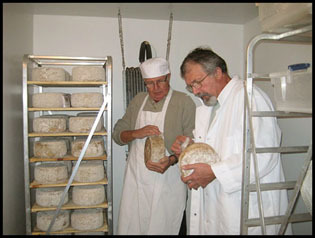 Antonin and Richard brushing the mold accumulation on the natural rind cheeses in our second ageing room.